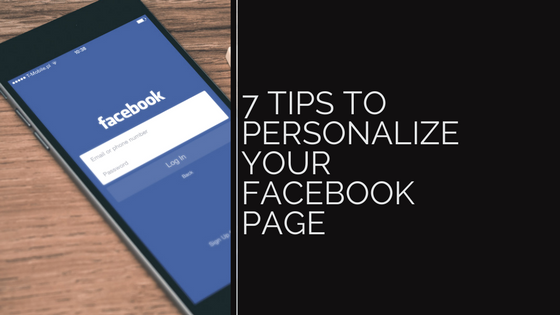 Your Facebook Page is an integral part of your business on a (nearly) 1.6 billion-person social network, but it doesn't leave you with much control aesthetically you do to personalize your Facebook page and stand out from the 40 million (plus) small businesses and entrepreneurs with similar Pages and audiences? As you've seen, and maybe even learned yourself, simply having a Facebook Page doesn't guarantee you'll gain a following or continue to have reach with your audience, so what can you do to change it? Well, a lot of little things, which are my favorite things to do. Unlike large sweeping changes that can take a while to implement, some of these little changes are "one and done"
If you haven't already, head to Facebook.com/username to create a custom URL for your Facebook Page. 3 Step Solutions can be found at facebok.com/3stepsolutions. Is it the most exciting URL? No, but we don't need it to be, we need it to easily be connected to our business and brand and there's no better way to do that than use your business name. Head to the "General Settings" under "Settings" on your page. What you're looking to do is control who's allowed to post content to your Page as well and what type of content people are or are not allowed to post to your page. Why would you want to this? Maybe you just want to share content and only allow people to comment on those posts. Maybe you want to push communication through Messenger. Think about how you want to communicate with your audience and how you want them to communicate with you. Additionally, you can control the bad language or inappropriate topics that you don't want to come up on your page, limit those under "Page Moderation." This little change can have such a big image because you get to choose the main action you want visitors to take! I can't tell you how many times I went to a business' Facebook Page and their Call-to-Action button wasn't set-up to prioritize where people wanted to go. What action do people want to take when visiting your Facebook Page? I doubt it's to just read your content because they can view that in their news feed. Are they looking to book time with you? Message you? Visit your website? While we're looking at your Facebook Page as a Visitor, what tabs are they seeing as options to view the content on your Page? Similar to your website, you can decide the "navigation" your Page has. You can customize your Facebook Page's tabs at a basic level by navigating to the "More" tab and selecting "Manage Tabs" from the drop-down menu. From there, you'll be able to re-position the order in which your Page's tabs appear. The thing that will help your Facebook Page stand out the most (besides your weekly posts) are the images you use for a profile picture and cover image! You have tons of creative freedom and can even have a video as a facebook cover image, what's most important is keeping it consistent with your brand colors, message and eye-catching. images. Take a look at Starbucks images. They have their recognizable logo as the profile image and a spring image with one of their products. To make these I always like to work in Canva, not only can I get the profile picture in the right dimensions (180 x 180 pixels), I can get layout options for my Facebook Cover Photo in the right dimensions (851 x 315 pixels). Although I'm bringing this up down the line, the number one way to personalize your Facebook Page is to consistently share content. For years now content has been dubbed king and it still reigns. When you go to post, don't just say a couple words, inspire your followers, ask questions, share exciting news. Let your words and image or videos share your emotions with your following. Every time you post, think about why your followers would want to see this content and post to that emotion. Your website should be the foundation of your business online, make sure you connect your website to your Facebook Page (and vice versa). Not doing so is like having a party blocks from your house and not understanding why people can't get to the party or your house.